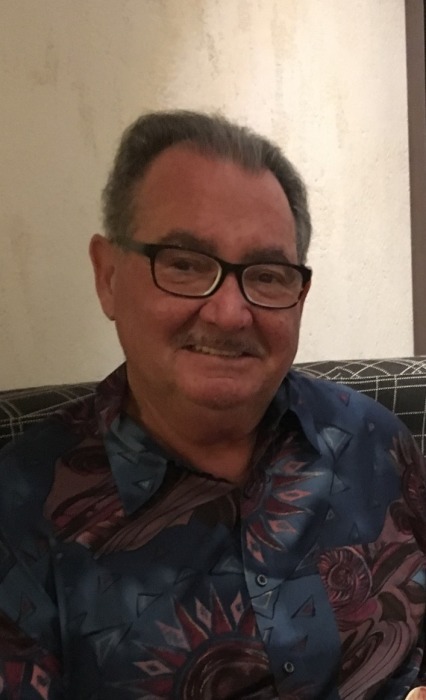 Joseph Mazzola, 74, of Wake Forest, passed away Sunday October 28, 2018 in Raleigh. He was born in Brooklyn, New York a son of the late Joseph and Susan (DeGennaro) Mazzola. Joseph served in the U.S. Army, serving in Vietnam. He worked as a printer for many years. During his retirement he enjoyed traveling to Las Vegas, Atlantic City, and Italy. He resided in Summerfield, Florida for 13 years. During that time he was a pitcher for the Del Webb Softball. He was an avid sports fan, enjoying baseball, football, hockey, thoroughbred horse racing and the vacationing by the beach. He was predeceased by his brothers: Anthony and Frank Mazzola. Joseph is survived by his wife of 50 years, JoAnn (Nascenta) Mazzola, his children: Denise Clemente and husband Vincent, and Christopher Mazzola and his wife Melanie; his grandchildren: Amanda Nicole Mazzola, Samantha Nicole Clemente, Vincent Frank Clemente, and Grayson Dominick Mazzola; his sister Ann D’Agostino and her husband Andrew, sisters -in-law: Anna Mazzola and Teresa LaRocca and her husband Dominick. A memorial mass will be held at 2:00 p.m. Thursday November 1, 2018 in the Chapel of Bright Funeral Home 405 S. Main St., Wake Forest, NC 27587.